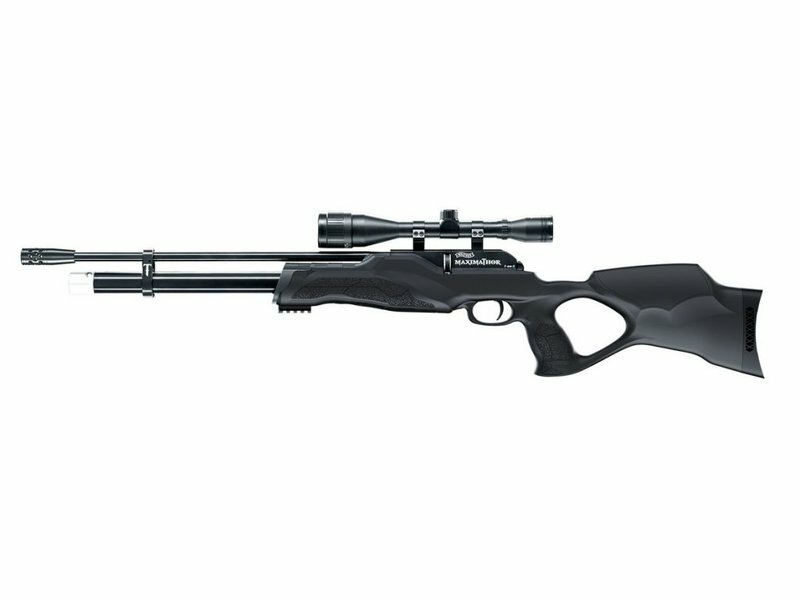 For those who like a little more power: The new Walther MaximaThor repeating compressed air rifle does justice to its name. It produces an impressive muzzle energy of 60 joules with 5.5 mm pellets, and the long 200-bar tank with pressure indicator and quick-fill opening is good for about 30 shots. The robust synthetic thumbhole stock is not deterred by any kind of weather. 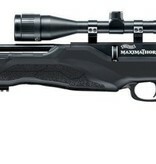 The MaximaThor takes 8-round Rotex rotary magazines with pellets up to 9 mm in length; we therefore recommend special high-quality Walther MaximaThor pellets. 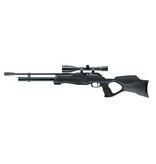 This powerful rifle, which comes without an open sight, features an 11-mm dovetail rail for mounting a telescopic sight.